Become a more productive team by unlocking your phone system’s potential. It would be safe to say a typical day in the real estate world is non-existent. True, there are things a realtor does on a daily basis, but every day can bring on unforeseen challenges and opportunities that keep their careers in the on-the-go-never-9-to-5 job category. Some of the tasks involved in the management of a real estate business can be vast. That is a lot of time connecting with people! When the demands of a phone system are high, and your current system is not matching your workflow expectations, you need to think of making the transition to a unified communications provider that includes mobility, multi-tasking, expediency and reliability. These four foundational strengths should be fundamental to any communications system. If your present phone system falls short in any of these areas, it can fall short in trying to help you sell real estate as well. A hosted phone system is a system that takes into account all the above strengths and can ultimately change the way real estate gets done by effectively and efficiently improving customer service. So what are 8 features that a unified phone system can do for Realtors? Mobility is no longer limited due to the fact that you can take your phone wherever you are, with today’s robust multi-tasking phone systems, mobility means much more. Mobility with a hosted phone system not only takes into account the ability to make calls from anywhere, but it also gives you the capacity to send and receive files, voice mail, faxes by email and respond to SMS. As an added benefit, it also gives you the ability to do all these things from a multitude of platforms and devices. You can work just as easily from your desk computer as you can from your smart phone, your laptop, your tablet, or, if you prefer, you can even integrate it with your old phone system–all giving you a greater competitive edge. You will never waste time hunting down third party applications to communicate with others. With a hosted phone system, all your communication needs can be all included within one platform. You no longer need to open three applications to get the job done. Tied into mobility, the ability to automatically have applications seamlessly interact with each other speaks directly to the need of realtors to communicate with clients and other agents quickly. When you save time, you also save money. Each phone number is able to handle text messaging by email. Otherwise known as Short Message Service (SMS), it allows clients and colleagues to send texts to an agent’s virtual number and have the message delivered to their email. You can then simply reply to the email with a text reply. This way you can use modern communications that serve current customer demands and continue to keep your personal phone number private. In addition, you can use auto-responders to reply automatically to customers when you are not available to respond right away. There’s no longer the need for a clunky old fax machine. Documents and contracts can easily be sent and received using fax by email either at your desk or while working from the road. Your clients will always be able to get in touch with you because you will have the ability to easily assign new phone numbers to whomever you want, whenever you want. You have complete control. 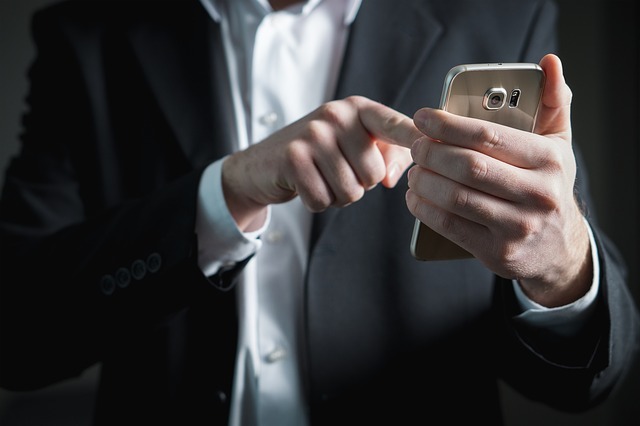 We are in no way suggesting that you need to be connected 24/7, but, if during your hours of operation your phone number is busy, this could take have an adverse effect on customer retention. Tying up one single line with calls from clients and other agents does not make good business sense. So, instead of giving out one work or personal phone number to clients or other agents, you can assign them virtual numbers. Assigning virtual numbers not only frees up your personal phone, but it also gives the impression that you are always available; always a good benefit. Did you know that it’s possible to setup and track calls on unique property listing ads and signage using virtual numbers? Run successful property marketing campaigns by tracking interest and ultimately the success of your ad listings. If you are in a position where you manage multiple colleagues and agents, our phone system is an ideal solution to stay organized and connected. The majority of phone companies offer packages of either free or low cost long distance rates. If you need to make frequent or occasional long distance calls there’s a fortune to be saved if you currently use your mobile or traditional phone service. Setup multiple ring groups (sometimes referred to as call hunting) and cascade calls across multiple agents or departments. A properly configured ring group strategy can offer your customers a better experience by ensuring that the first available team member can take the call from wherever they are. Once you consider the cost of missing a phone call, the benefits of a ring group can be immediately realized. Working remotely no longer has to mean working in isolation, fragmented from the rest of your team. We can put you in touch with your colleagues and customers by sending and transferring calls to and from the cloud no matter where they are in the world. This ability to connect more calls creates more call traffic and more happy customers. When choosing a phone system and you are or have remote workers, using a unified phone system like nurango’s is the superior option. To boot, communicating with your team within the same system network is free. If your phone system doesn’t have call tracking support, call recording, SMS or a way to connect multiple users, you’re not maximizing your productivity. Realizing your phone system’s team-friendly potential in this new generation of unified communications can assist you in helping more customers and ultimately closing more deals. Ask your current provider which of these features you can start implementing today, or take a look at our team-friendly phone system at nurango. We’re giving new users an unlimited 14 day trial. Get started free. Lynn is a writer who draws or an artist who writes depending on the situation. For the past 15 years, she has managed to divide her time equally between the two worlds of graphic design and writing, without ever spilling a drop of coffee. Although she loathes writing about herself in the third person, she can usually be persuaded to do so for pocket-change. These days you can find Lynn working on a BA in English Literature while helping others look and sound better on paper; and yes, there is coffee involved.